Confusion reigns about how Quebec will enforce its controversial ban on niqabs, burkas and other face-coverings while receiving public services. And if Austria's experience is any guide, it could get weird. 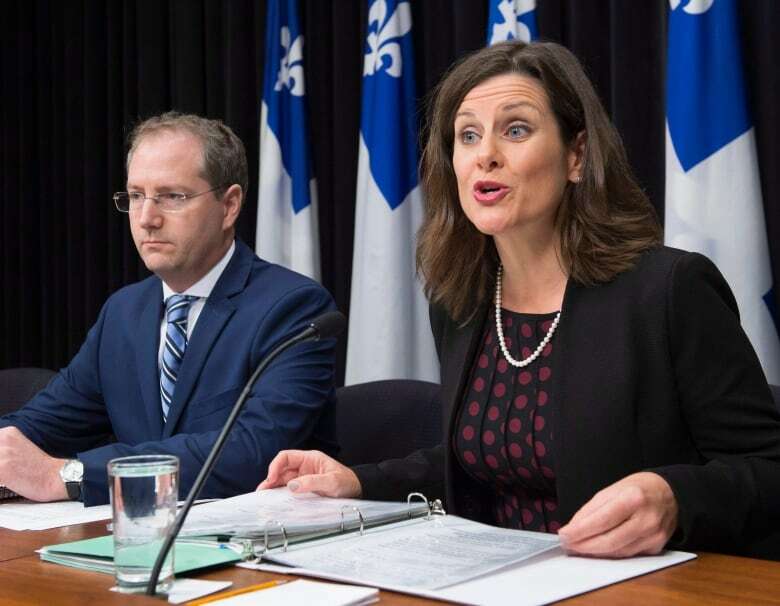 When Bill 62, Quebec's legislation on religious neutrality, was passed into law last week, there were so many questions that Quebec Justice Minister Stéphanie Vallée held a news conference on Tuesday to clarify. The minister insisted that the law, which carries no penalties at this point, applies only during moments of contact with a civil servant providing a service. So, a woman with a niqab would briefly unveil for a bus driver checking her pass, but could then ride on the bus with her face covered. A few days earlier, Vallée had said the ban would mean faces remain uncovered throughout the bus ride. Critics pounced. The opposition claim that the minister was describing a much more comprehensive ban when the bill was in committee. There's an election coming next year, and all three of Quebec's major parties know the public support for identity issues in Quebec is strong. Polls say 87 per cent of all Quebecers are onside with the objectives of the new law. But unlike the Justice Minister, they don't have to imagine how those objectives would be enforced. Bus drivers, doctors, teachers and librarians are now realizing they may be called on to make decisions and take action. Some have already indicated they don't want the responsibility of interpreting and enforcing the province's objectives on religious neutrality. Natalie Roy, speaking this week for the Coalition Avenir Québec, called the confusion around the government's new law "a comedy act." It could get even funnier. Earlier this month, Austria brought in a law that bans face-covering and now the head of the Austrian police union, Hermann Greylinger, wants it scrapped. "It is unenforceable," says Greylinger. 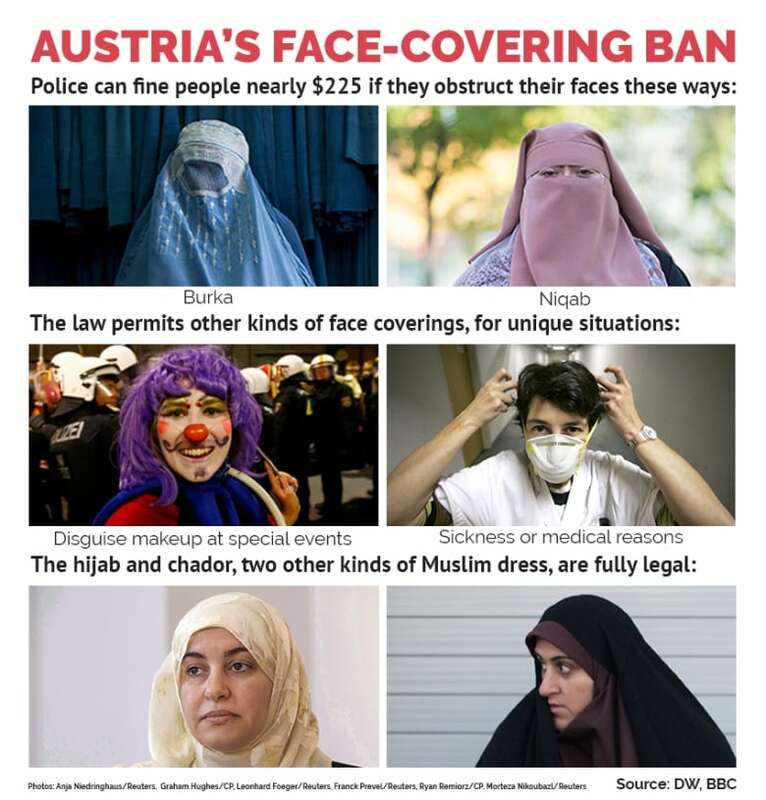 Austria's law, like the one in Quebec, broadens the prohibitions on face-covering to avoid the appearance of discrimination, so police are being called to investigate anyone wearing a costume. Last week in a Lego store, they tried to arrest a Lego Ninja. "The law was not written as a burka ban for constitutional reasons and now this crap is happening," Greylinger says. Aamna Mohdin is a reporter with the digital news outlet Quartz. She covers European issues related to diversity, immigration, economics and justice. She's been watching the confusion in Austria since the ban was implemented. "I think at the heart of the problem is, you can't make a law that specifically targets Muslims and get away with it," she tells me on Day 6. "That's discriminatory. So the governments in Europe and in Quebec, they have to create laws that will somehow hold up in court." "When you do that, you're kind of confronted with the awkward fact that people wear face-coverings for all sorts of reasons." Those reasons include promoting a new line of Lego. "The Austrian police ended up raiding the Lego store in Vienna after receiving a complaint that a Ninja Lego was violating the face-covering ban. And it kind of led to this really extremely heated argument," Mohdin says. 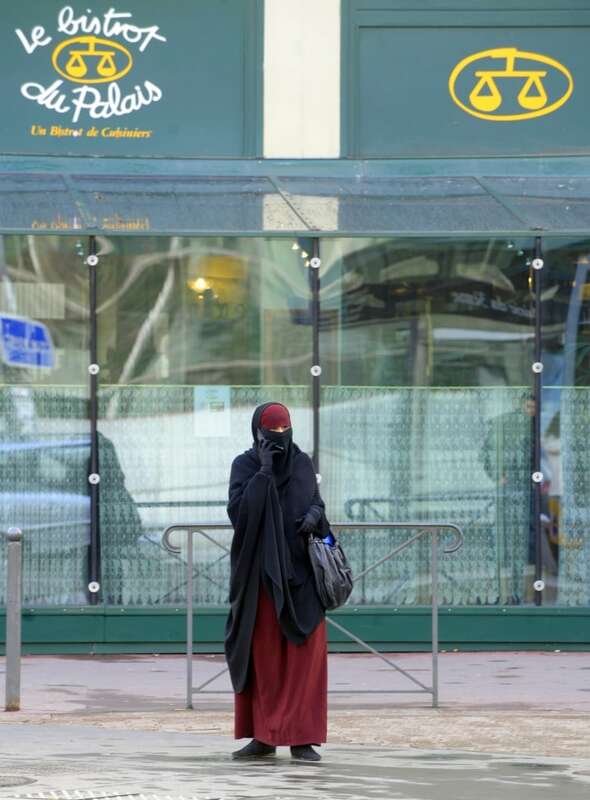 "No fines were issued to the woman because she was willing to take off the head covering. And the police agreed that the face-covering that she was wearing fits the exemption that was within her professional occupation." Police were also called to respond to a human sized bunny that is official mascot of the Austrian parliament, a man dressed as a shark, and a university student who covered her face because she was cold. Police suspect they're being called by people who want to draw attention to the absurdity of the law. Mohdin estimates there are 150 women in Austria who wear a veil. In Quebec, the number may be even lower. She says when polled, people tend to overstate the percentage of Muslims living in their country. Mohdin believes the popularity of laws banning face-covering is tied to a misperception of the overall numbers of Muslims in those jurisdictions. "In France, they overestimate their Muslim population by like 17 times or so, and I think that's because we kind of feed into this narrative that there's this Islamic invasion, especially in Europe — this fear that people who don't fit our culture, norms and values are coming over here, and they're overtaking everything that we hold dear." Mohdin says she understands the popular support for Quebec's law, but she believes a conversation would be more useful than legislation. "Most of the Western world are going through these kinds of cultural anxieties about: what does our national identity mean when we've been through so many waves of different immigration?" "And having those anxieties and having those questions are not racist, you're not prejudiced thinking, 'What does this mean? Can we all get along? How do we build a community together?'" "I think those questions should then lead to: 'How do we make jobs accessible to the most excluded members of society? What kind of community events do we have that bring as many of us together as possible? Do we have to change what it means to be Canadian? Do we change what it means to be from Quebec?'" "Maybe, but we should all be involved in that conversation." Critics of Quebec's law have pointed out that in the name of liberating women it forces them to comply with standards set by the state. But what about Muslim women who don't have a choice, who may be compelled by their family or community to wear a veil? Mohdin believes these issues are being met within the community. "I come from a Muslim community and I was told, 'You should wear the head scarf', and it was explained why, and my mom wears the headscarf and she said, 'It's really important for us religiously'. But then I turned around and said, 'Actually, no, this isn't for me', and my family and my community were completely fine with it." "Of course there will be women who are being forced into the situation and we should support them. I'm not very sure these kind of very blunt bans are the way to do it." Austria produced a graphic to illustrate what constitutes an illegal face-covering and one of the images is a clown. 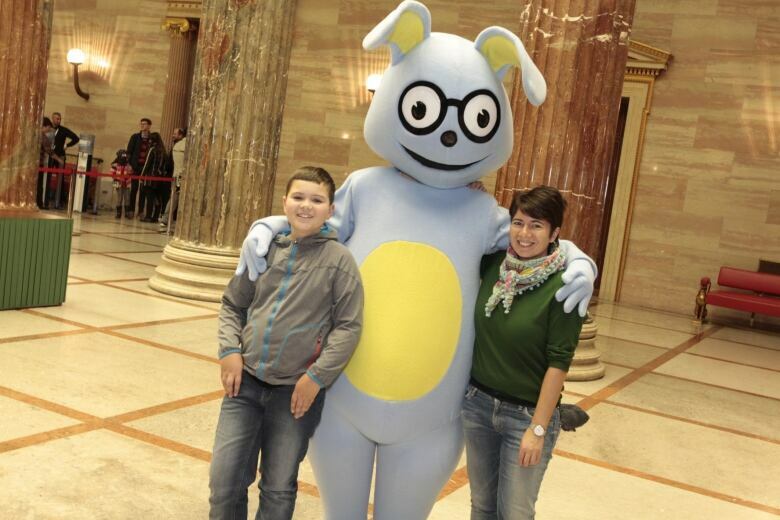 What does Aamna Mohdin think Halloween will be like this year in Vienna? "I think it's going to be really really stressful for police officers." To hear the full interview with Aamna Mohdin, download our podcast or click the 'Listen' button at the top of this page.